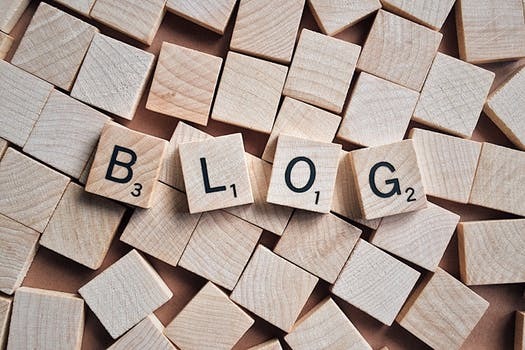 Many of the insurance and financial advisors that I speak to on a regular basis find the task of blogging to be a very daunting and time consuming task. Blogging is one of the most effective ways to drive traffic and is also a critical sales and marketing tactic to connect with your audience. One of my favourite questions that I like to answer tends to be “How do I get started?”. It’s a great reflection of an advisor who’s ready to incorporate digital and content marketing into their practice and of someone who’s ready to do something different in an industry where blogging is not yet pervasive. Here are 3 steps I commonly talk about to get started. If I sat you down in front of a typewriter and asked you to write a book and I didn’t give you a topic that would be pretty hard and you could potentially sit for a few hours and come up with nothing (maybe a title and an introduction). If I did the same thing and asked you to write a book about financial planning you might also come up with nothing after a few hours. This analogy is often how I think advisors look at content writing. One critical success factor of content writing is the plan. Ok, the plan, what do I mean? Well, much like how you might put together a financial plan for your client, you would put together a plan for content writing. A plan helps to regulate the frequency at which you write and produce a tempo. It also helps take a lot of the guess work out of what to write about next. If I planned on saving up $1200 a contribution of $100 a month for the next 12 months, would arguably be easier than me thinking about the amount to save each month to reach my goal. Do you meet with clients and prospects? Do your clients and prospects ask you questions? Do your clients and prospects ask you the same questions? You probably answered ‘Yes’ to all three of those questions. Now, take the next 5-10 minutes and write down as many questions as you possibly can on a piece of paper and then move onto step 2. Write down the questions that come to mind first. Now, take 10 minutes and look at your list of questions and for each topic, determine whether you can break the topic down into more than 1 mutually exclusive topic. For example, “What is a TFSA?” cannot instinctively be broken down into more than 1 mutually exclusive topic as everything points to the topic of a TFSA. “Financial Planning 101”, however, can be broken down into Tax, Retirement, Investments, etc., all of which are mutually exclusive topics. No need to think too long on each question as it should be instinctive and easy to identify the questions that can be broken out. Then move onto Step 3. By now, you should have a pretty healthy list of questions to answer. The next step is to set up your tempo. How often will you decide to blog. There are definitely rules of thumb when it comes to blogging and in general, the more often you blog, the better your results. That being said, if you’re just getting started, setting up the frequency of your blogging is more important than setting up how much you will blog. Blogging once a week is arguably better than blogging once a month which would arguably be better than blogging once a quarter and so on. Choose the frequency that you feel you can handle. If the frequency you set becomes very manageable, increase that frequency. Remember to start small and then move up from there. Choose the easiest questions to answer first. Take the next 5 minutes, look across your questions, and line your topics up to your frequency. For example, if you have 12 topics and have chosen to write monthly, that’s one blog post per month. Also, decide whether you will release your blog at the beginning or at the end of the month. At this stage you’ve completed a very critical step and are well on your way to becoming perceived as an expert in your area of expertise! With all of your single topics and questions set up, it should be a relatively straight forward exercise to answer the questions you’ve documented! A few key things to remember when you write is that blogging is not about perfection. You’re not designing a rocket to the moon. Obviously spelling mistakes and grammatical errors are unacceptable but outside of that, the world’s your oyster. Write in the way that you would have a conversation with a client or a prospect. Make your readers feel like you’re speaking directly to them. Remember, your voice is unique. No other person in the world communicates like you. No other person has been exposed to the same experiences that you have. What’s your greatest barrier to getting started with blogging? 6 SEO Pitfalls to Avoid During Your Next Website (Re)Design Part 6): Not implementing... CRM 2 will empower clients, but will it empower Advisors?